Originally published in Mars’ Hill Newspaper, Trinity Western University. What does it take to start a music revolution? Looking at Radiohead’s latest release In Rainbows, it seems the answer is a dedicated fanbase and a very large middle finger. Though the average purchaser may pay less than an average album price, the band still cuts out the middlemen – the label and the retailer – both huge savings and greater freedom for the band. With an estimated 1.2 million downloads on the October 10th release date alone, this experiment, which guitarist/multi-intrumentalist Johnny Greenwood says, “forces fans to consider how much music is really worth to them” seems to be an astounding success. In the days after its release, articles on In Rainbows even appeared in the financial sections of newspapers such as the New York Times and Britain’s Financial Times. The irony of it all is that for Radiohead, it’s never been about the money. Even whilst signed to EMI, Radiohead always made a point of maintaining musical and political individuality – a tough battle when on a major label. Their last four albums were each praised for breaking ground and redefining the band’s sound. In Rainbows does this in a completely different way. So what are the implications of an electronic release, let alone one where the ‘free’ option is given? Firstly, other major artists like Oasis, NIN, and Madonna are interested in following suit. For icons such as them, the urge to tear up their contracts must be overwhelming. 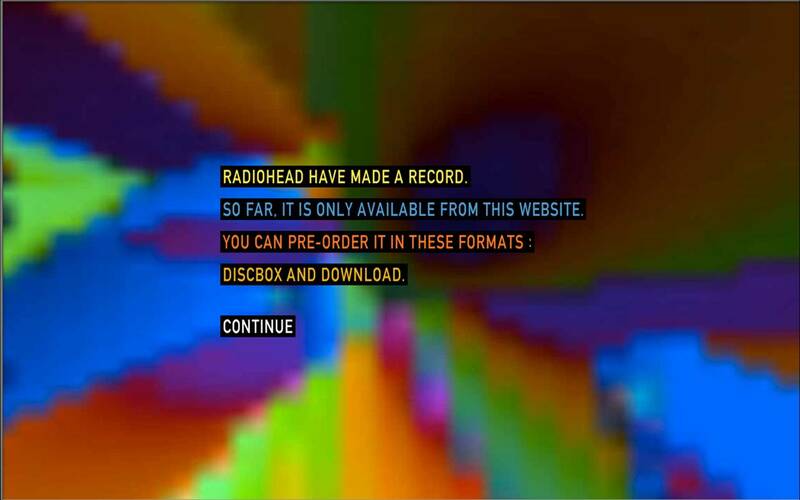 On the eve of In Rainbows’ release, the popular opinion was that Radiohead was going to single-handedly cripple the domineering music industry. As I smiled at the big “screw you” to the executives, I considered the implications. Electronic releases really could mean something big for labels and retailers alike. Record companies are going to have to think quickly to weasel their way around this one, and retailers get smashed. First we had online purchases, now there’s fully electronic releases. This is what’s so disconcerting about the whole deal for me. Undoubtedly there are those of you, who, like me, when you are in a mall, will visit the music shop without failure even if you walk into no other store. I relish in the sensation of a freshly bought album in my hand, the cover art gleaming back at me, daring me to run home fast as I can and throw it on the stereo. There’s no such tangibility to an online track. What’s odd is that Radiohead are a band who takes great pride in aesthetics – both on stage and in their albums – the band won the award for best album art on their 2001 album Amnesiac; the special edition packaged as a children’s book. But critics are talking about how Radiohead’s bold new move is the symbolic end of an outdated system. Since OK Computer Radiohead have always been a groundbreaking band and will remain so, they are, in my eyes, fitting ambassadors of this new age.